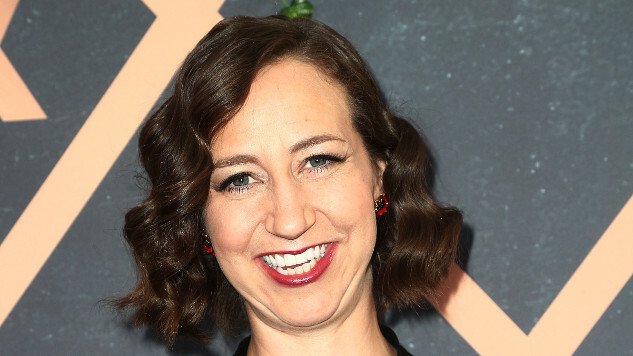 The Last Man on Earth star Kristen Schaal has joined the cast of STX’s action-comedy My Spy, per Deadline. My Spy is led by WWE and Guardians of the Galaxy star Dave Bautista, playing a CIA operative who finds himself at the mercy of the nine-year-old girl (Chloe Coleman) whose family he has been ordered to surveil. Schaal joins Ken Jeong and Parisa Fitz-Henley in the cast, although her role in the forthcoming project has not yet been revealed. Peter Segal is directing from a screenplay by Jon and Erich Hoeber. Chris Bender and Jake Weiner of Good Fear are producing with Gigi Pritzker of MWM Studios, along with Jonathan Meisner, Bautista and Segal. Executive producers are Rachel Shane and Adrian Alperovich (MWM Studios), the Hoebers and Michael Flynn. Schaal is a former The Daily Show correspondent best known for her voice work on such animated series as Bob’s Burgers, BoJack Horseman and Gravity Falls, although she’s also appeared in lead roles on the late Flight of the Conchords and The Last Man on Earth. Schaal, who once played the last woman on earth, was also recently tapped to headline an untitled ABC family comedy from Man Seeking Woman creator Simon Rich. My Spy is currently filming in Toronto.